I’ve been absent from these blog pages lately. 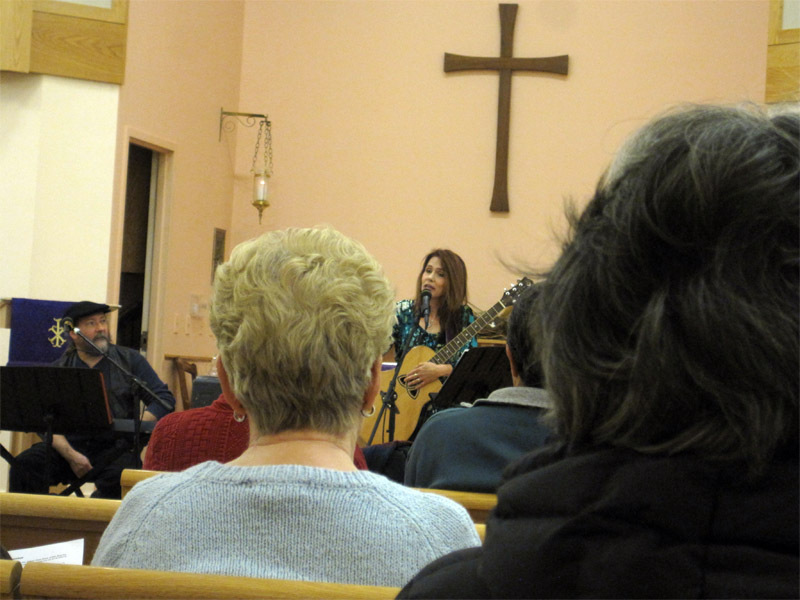 My music partner and I returned recently from a week-long tour in Maryland, West Virginia and Pennsylvania, presenting our Women at the Well music program at several churches there. It was a wonderful experience, and we were awed and humbled by the responses the music received. What a blessing! Then, home in time for the latter part of Holy Week, which meant more wonderful music in liturgy. The tour was a stretch – it was a challenge to be in community with different congregations in so a short period of time. You see, I don’t like thinking of myself as a “performer” in this context. (Performing is what I do with the blues band!) I have no problem singing (or speaking) in front of people, but music focused on God is… focused on God! I’m just the messenger, and I always hope that my technique enhances the music instead of taking away from it. Yet, I know that not everyone feels comfortable being “in front.” For me, it’s just a part of doing what I do. The message is important, and I’m the one to deliver it, so…here goes. I step up and sing and speak. And oh, how I long to know everyone in the room. What are their stories? I see individual faces, I get feelings, reactions from many…so I do know you. Some are more guarded, some are wide open, some are in between. Doesn’t matter to me. I see the faces, I ride the ebb and flow, and I pray always that whatever is said and sung will bring comfort or joy or insight to someone. It is, in my mind, a communal act – even though I won’t have the chance to meet everyone. It doesn’t matter; we are all a part of this experience, in this moment, in this church. And we are connected, now and into the future. You are all part of Women at the Well, I say at the end of the event. By being there, everyone has certainly given me a gift. The Gift of Presence, of Witness, is awe-inspiring to me. I tell everyone that they will be in our hearts.